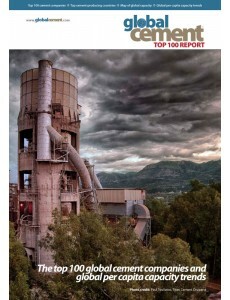 This report is split into two parts: Part A ranks each of the Top 100 cement producers in the world by installed capacity. It also gives the installed capacity of 141 cement producing nations. Part B ranks the same 141 cement producing nations by their capacity/population, with commentary on the top 10 by this metric and the positions of the top 10 countries by installed capacity. Listing of the Top 100 global cement producers, according to Global Cement Directory 2016. Global cement capacity map for 141 clinker-producing nations. List of 141 clinker-producing nations according to their installed integrated cement capacity/population. Discussion of global and regional distribution of capacity/population. Discussion of top 10 national cement industries by capacity/population. Positions of the top 10 cement producing nations in the ranking of capacity/population, with discussion. 17 page report presented in PDF format. Table A1: The top 10 cement producing countries in 2014. Table A2: Global cement companies 1 - 25 ranked by installed capacity, according to Global Cement Directory 2016. Table A3: Global cement companies 1 - 25 ranked by installed capacity, according to cement producer websites. Table A4: Global cement companies 26 - 50 ranked by installed capacity, according to Global Cement Directory 2016. Table A5: Global cement companies 26 - 50 ranked by installed capacity, according to cement producer websites. Table A6: Global cement companies 51 - 75 ranked by installed capacity, according to Global Cement Directory 2016. Table A7: Global cement companies 51 - 68 ranked by installed capacity, according to cement producer websites. Table A8: Global cement companies 75 - 100 ranked by installed capacity, according to Global Cement Directory 2016. Figure A1: Cement production in 2006 - 2014 of key cement producing countries. Figure A2: The global cement production capacities of every country in 2015, colour coded by capacity and world region. Tables B1 & B2: Cement producing nations, ranked by cement capacity/population, positions 1 - 50. Tables B3 & B4: Cement producing nations, ranked by cement capacity/population, positions 51 - 141. Figure B1: Cement capacity divided by population for all countries that have integrated cement production capacity. Figure B2: Distribution of capacity/population for 141 cement-producing nations.